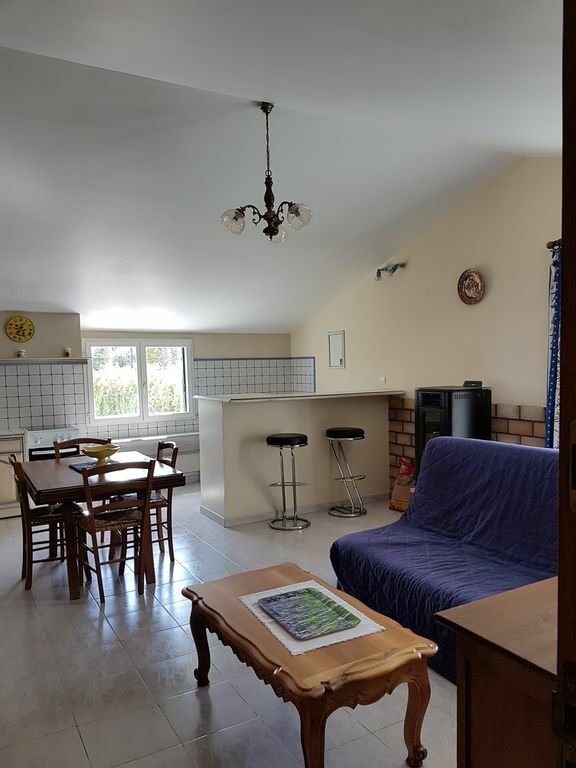 Bright, clean house located in the countryside, 800 meters from the village, 15 km from Avignon. 7 Km from Saint Remy de Provence 5 Km from EYGALIERES. House with a courtyard, a gated gate with a garage, a shared pool, a garden furniture. A laundry room with washing machine, refrigerator. A living room of about 32 m2 containing the living room, the dining room and the open kitchen. Also 2 bedrooms and a shower room. Master bedroom, large closet sliding doors (dressing room). In the kitchen a pellet heating air conditioning, ceramic hob, oven, refrigerator, coffee maker, crockery, ironing board and steam iron, for bed linen rooms.